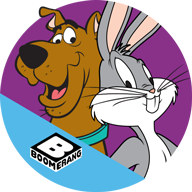 Subscribe now on your Android phone or tablet and watch all your favorite cartoons to your heart’s content, on demand and ad-free with your paid Boomerang digital subscription. START YOUR FREE TRIAL and enjoy classic shows and new originals you can’t get anywhere else in a family-friendly environment - no TV package required. Stream 1000+ episodes of classics like Scooby-Doo, Tom and Jerry, Looney Tunes, Smurfs, Popeye, Courage the Cowardly Dog, Wacky Races, Droopy, Huckleberry Hound, Bugs Bunny, Daffy Duck, and Yogi Bear along with exclusive Boomerang originals. The library is only part of the fun! Fresh episodes of new original shows and classics from the vault are added every week! Start your Boomerang subscription today! Get a 7-day free trial when you sign up for the $4.99/month plan. Or save 33% by purchasing a $39.99 annual membership with a 30-day free trial. If you enjoy your trial, do nothing and your subscription will automatically continue for as long as you choose. Cancel at any time. Your monthly or annual subscription begins after your free trial. To avoid recurring charges for your subscription fee (which may include local tax depending on your location), you must cancel before the end of free trial or current billing period. No refund or credit for partial monthly or annual subscription periods.